Human societies have not always taken on new technology in appropriate ways. Innovations are double-edged swords that transform relationships among people, as well as between human societies and the natural world. Only through successful cultural appropriation can we manage to control the hubris that is fundamental to the innovative, enterprising human spirit; and only by becoming hybrids, combining the human and the technological, will we be able to make effective use of our scientific and technological achievements. 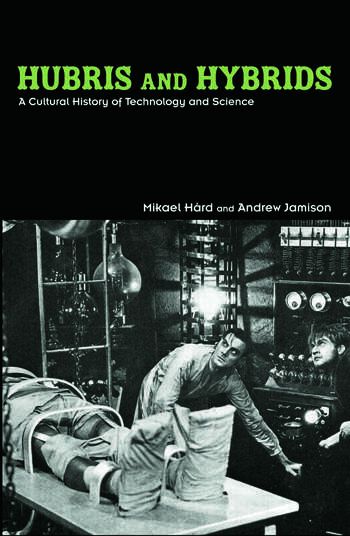 This broad cultural history of technology and science provides a range of stories and reflections about the past, discussing areas such as film, industrial design, and alternative environmental technologies, and including not only European and North American, but also Asian examples, to help resolve the contradictions of contemporary high-tech civilization. Mikael Hård is Professor of the History of Technology at the Technical University Darmstadt Scloss in Germany. Andrew Jamison is Professor of Technology and Society at Aalborg University in Denmark.